Keep your refrigerators safe from the harms and hardships caused by treacherous voltage fluctuations. 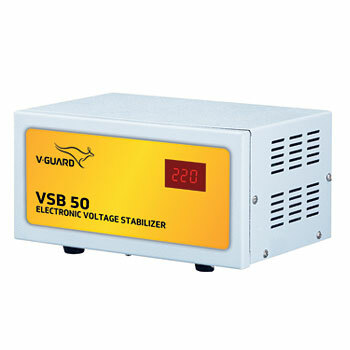 Electronic voltage stabilizer for refrigerator (Up to 300 Ltr) - This is a completely electronic voltage stabilizer model that helps to protect your refrigerators from harms caused by dangerous voltage variations. Table Top Design – This amazing model is designed with the advantage of being able to place on top of tables. Metal Cabinet – The durable metal cabinet with which this device comes offers long life.